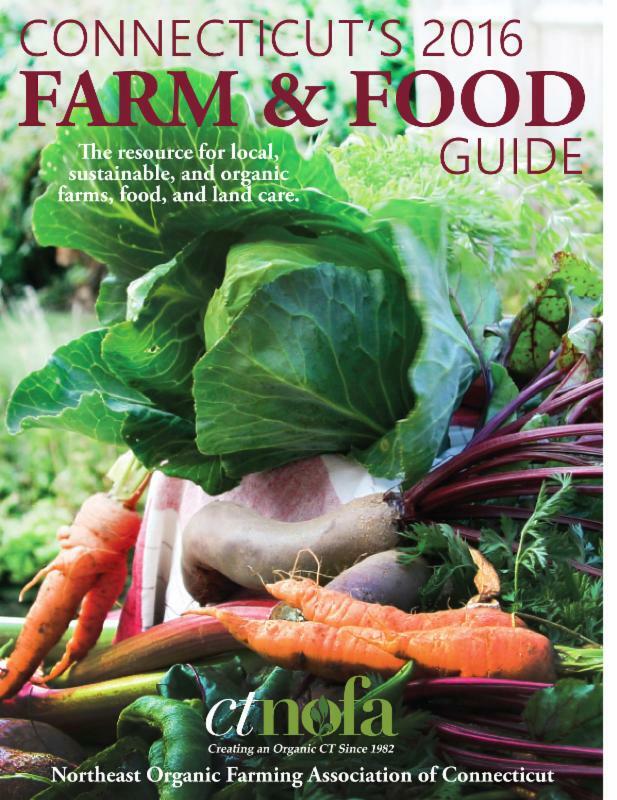 The Gleanings Newsletter ~ bringing organic news & events from around the state! Bill Duesing on Organic Land Care! Join our new Golden Carrot Club and Garden Club Club! See our feature article in this newsletter to learn more. Join, renew, or donate online today! 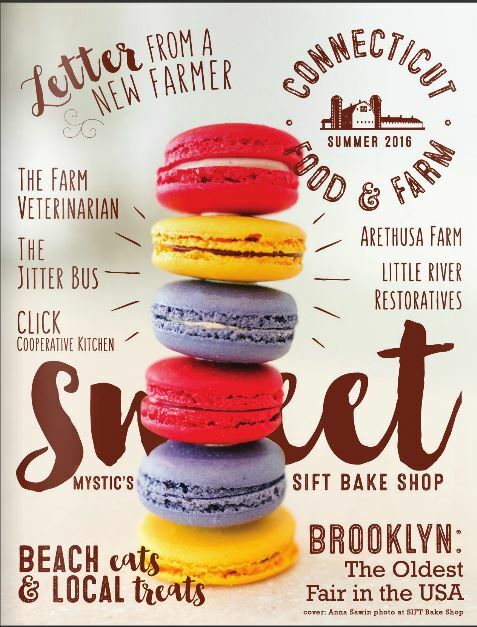 Join our community of farmers, gardeners, land care professionals, educators, chefs and consumers committed to growing Connecticut organically. Click here to learn more about CT NOFA memberships. Your generous donations fund our work growing an organic Connecticut through education, outreach, advocacy and events. Thank you. Use the NEW NOFA SEARCH TOOL & Find an Accredited Organic Land Care Professional Near You! In Honor of An Organic Connecticut! where friends gather to share the food they make. Invite your friends to join a Potluck Party Fundraiser where each person shares a meal and makes a small donation to CTNOFA. No matter how simple or grand, it is a wholesome way to show your support for a more organic Connecticut! It's your choice as the host, but no matter the meal, this special way of gathering supports CT NOFA and celebrates the season's bounty growing on local farms across the Nutmeg State. An opportunity to arrange for an in-person appearance or a Skype call with CTNOFA Executive Director Jeff Cordulack during your Potluck Party fundraising event. Sign up today to host a Potluck Party fundraiser. 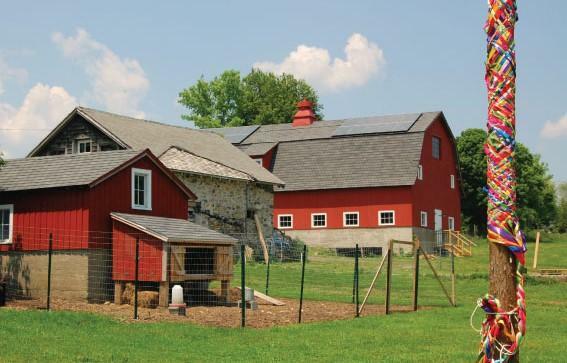 Your food celebration will benefit CTNOFA's work to ensure the growth and viability of organic agriculture, organic food, and organic land care in Connecticut. Introduction to Organic Lawns and Yards by Sarah Little, Ph.D.
let us know with this simple form. Once received, we will email you additional info to get your party started right. If you wish, the staff can call you during the week (b/w 9am-5pm) to answer questions and provide help. For assitance on weekends, contact Jeff Cordulack: 203-613-8813 | jeff@ctnofa.org. CT NOFA members and friends are invited to attend our annual meeting at Massaro Community Farm featuring a talk by Bill Duesing, an awards ceremony, and good fun with like-minded folks. Come at 12:30 pm for a tour of cover crop & pollinator strip areas created by farmer, Steve Munno. This is followed by lunch set up at 1:30 pm: then at 2 pm, we will begin a lovely summertime lunch. 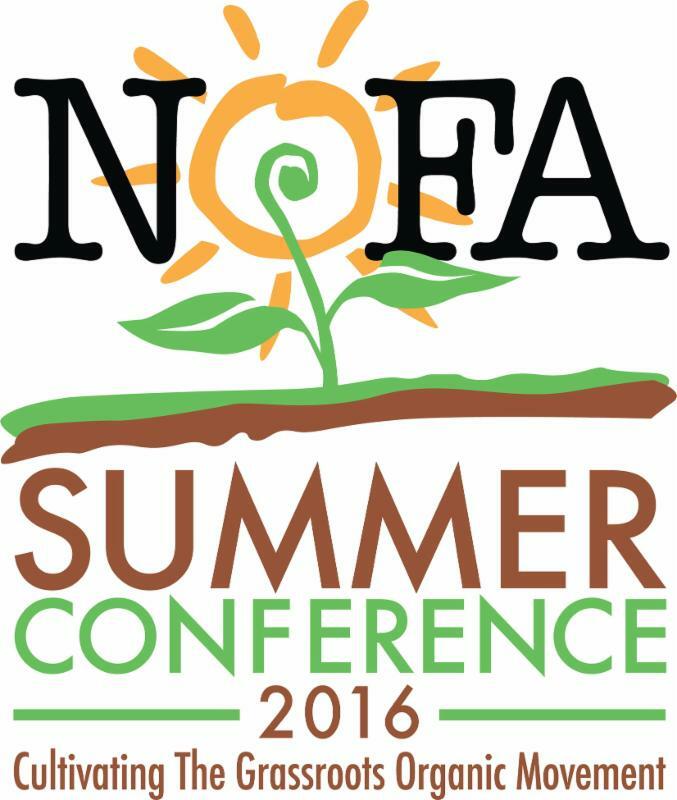 The Northeast Organic Farming Association (NOFA) will hold its 42nd annual Summer Conference on August 12-14, 2016 in Amherst, Massachusetts. The event features three days of organic immersion, with 200 workshops to empower, educate, build skills and confidence. Over 1,000 curious learners, growers, and experienced practitioners gather for inspiration and ideas for organic food, farming, health, activism, and beyond. CT NOFA Exec. Dir. 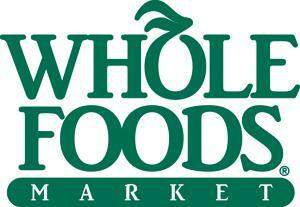 Jeff Cordulack says, "This life-changing event is not to be missed!" Click here for speaker, workshop, ticket, and registration info. A day of learning for anyone with an orchard or an interested in starting one. 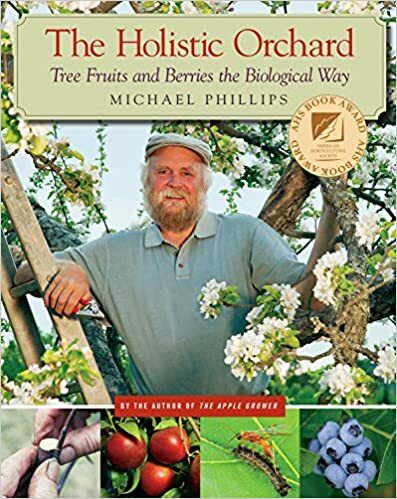 Come learn the nutritional side of holistic orcharding through the lens of healthy plant metabolism with Michael Phillips. This will be a solid introduction to a whole-system based approach for producing nutritionally dense fruits and berries ~ with this nationally recognized guru of holistic orchard management. NOFA OLC Training ~ Coming To Portland, Maine This August!!! Demand for organic land care professionals is increasing rapidly in Maine due to a growing concern about the hazards of synthetic pesticides and the adoption of ordinances banning or restricting the use of chemical pesticides on town, and sometimes private, land in twenty-seven towns including Ogunquit, Rockland and most recently, South Portland. 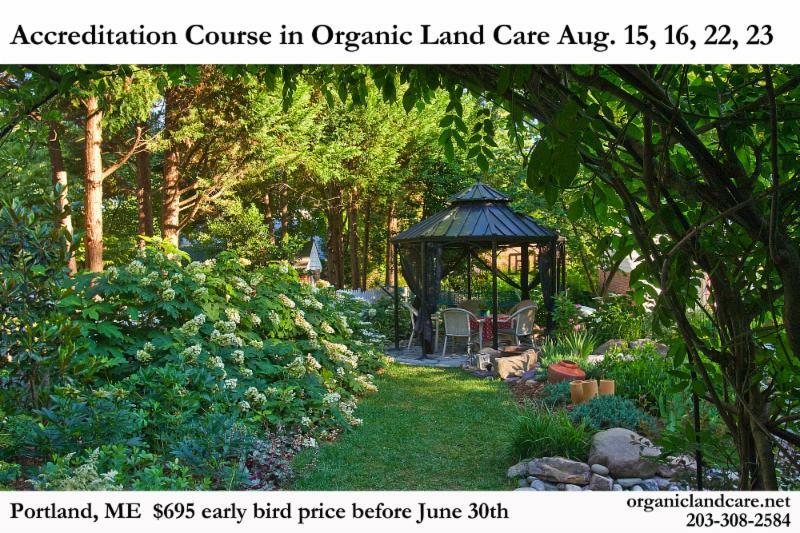 August 15, 16, 22 & 23 (Split Weeks): This 30-hour, 4-day course is for land care professionals, environmental educators and those seeking a greater understanding organic ways. The course offers a well-rounded curriculum that explores soil health through the lens of organic land care principles, practices, design, and maintenance. 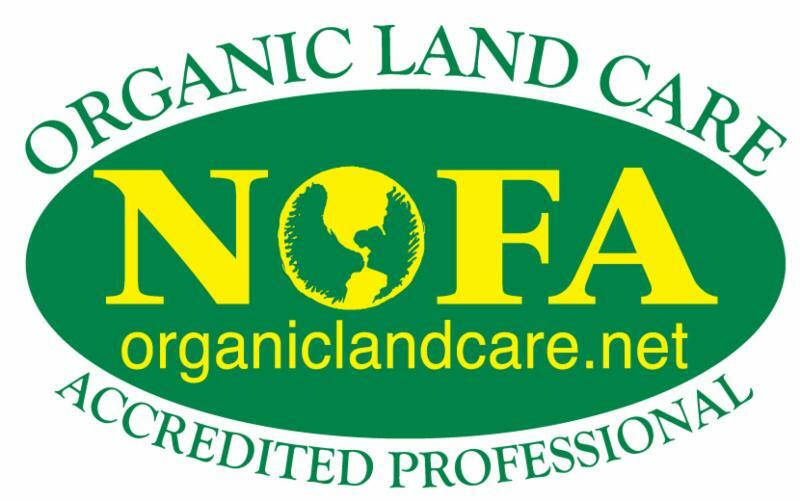 Each attendee who passes the accreditation exam with a 70% or higher will earn professional credentials as a NOFA Accredited Organic Land Care Professional (AOLCP). Held at the University of Southern Maine, Portland, ME. CTNOFA's Community Board is a member benefit allowing you to post your classified ads and other announcements (jobs, equipment, land for sale). Organic Land Care: The Way to Go! Our lives are totally dependent on the air, water and food we get from nature, primarily from the plants, soil and oceans that cover our planet. Left alone, nature produces greater biodiversity, stores more carbon, creates more structural complexity and moves toward metabolic stability. Taken together, these effects lead to more resilience in the face of environmental disaster and to healthy ecosystems and a stable climate. Unfortunately, Americans are largely ignorant of this information. And our hubris means that most people don't think this ignorance matters. 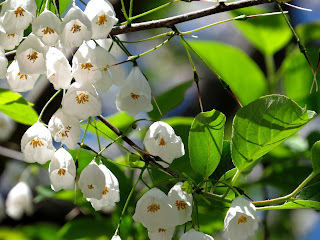 Otherwise we would reject the commercially based way of caring for the earth with a default landscape of large chemical lawns and a few shrubs (selected for their static appearance) in our yards and public spaces. This landscape is not in accordance with nature's principles. 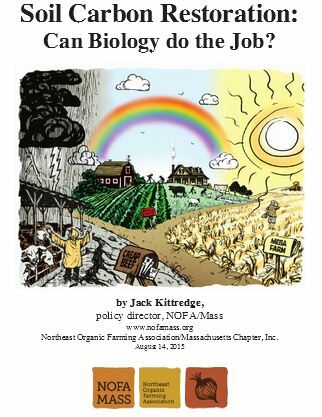 For more than 25 years CT NOFA has been promoting and educating about organic land care (OLC). Organic land care extends the vision, principles and expertise of organic agriculture to the care of the landscapes where people live, work and play. Its methods can be applied anywhere there is landscaping: small urban lots, suburban yards, estates, schools, commercial properties, parks and farms. Continue reading on the CTNOFA blog. By Sarah Little, Ph. D.
Some people claim that a nice looking lawn adds $10,000 to the value of your home. In fact, your outdoor real estate has a value to you far above this miserly amount. "Health is wealth" and your yard, in addition to looking beautiful, can contribute to the health of yourself, your family, your neighbors, your town, even your planet. To understand how this is done, it helps to look at your yard in a very different way than you are used to. The land, water, air, plants, animals and soil under your care actually comprise an entire living ecosystem. This ecosystem is composed of plants, mammals, amphibians, birds, but also trillions of bacteria, fungi, protozoa, and a myriad of tiny soil creatures like pill bugs, nematodes and springtails. All these living organisms are linked together in both fierce competition and fantastic cooperation through the complex cycling and recycling of nutrient, waste and energy. Biodiversity is the variety and spice of life; it is also its bank account and health insurance. It is a measure of how many different interacting species are in an ecosystem. Generally speaking, the more the better. Systems with high biodiversity are more able to withstand outside invaders and environmental insults like drought, flood, and pollution. It is not just rare species that are valuable, every living thing in an ecosystem counts. Continue reading on the blog. Perfect for homeowners, land care professionals, garden centers, garden clubs, environmentalists, educators, and advocates. Price: $6 each or bulk order of five or more $3.25-4.25 per copy. NOFA OLC has published this beautiful, 52-page booklet especially for people new to organic landscaping. Printed on 80 lb glossy paper, and saddle stitched into a nice 8.5"x8.5", a booklet for the keeping. View bulk order pricing sheet for 2nd edition - available NOW. To order the book and the Organic Lawns and Yards Brochure, click here. 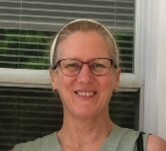 A Q&A with Pam Newcombe of PJC Organic and Renaissance All Natural Fertilizers, sponsors of the NOFA OLC Organic Land Care Accreditation Course being held in Maine this August. 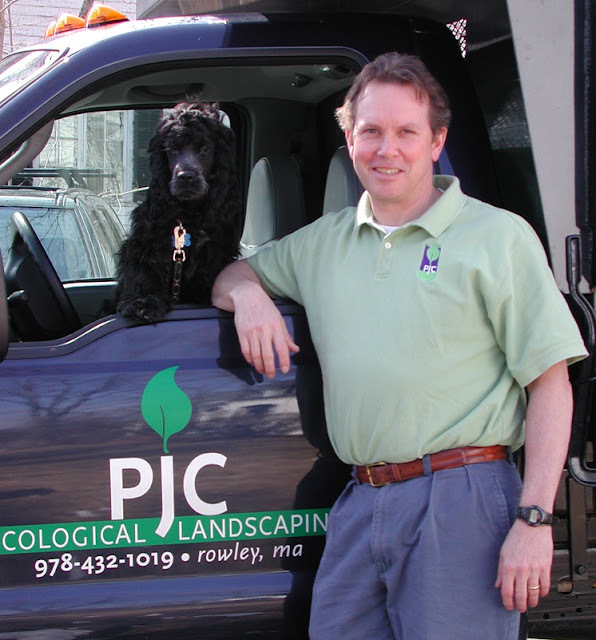 PJC Organic began as a full service landscape provider specializing in organic fertilization services and in 2006 purchased Renaissance All Natural Fertilizers. Today the company provides product, support and business tools to landscapers, municipalities and schools that want to develop an organic turf care program that fits their business. They also offer organic fertilization services on Boston's North Shore, giving them the opportunity to continually evaluate the products they manufacture and distribute. Q: What is the state of the organic land care industry? Where do you see the greatest growth and what's driving it? The organic land care industry, as it relates to turf, is growing at a faster rate than the conventional market based on feedback from our customers. We've found the greatest areas of interest are in states that have implemented pesticide and fertilizer use restrictions. Because there is often a time of transition between passage of laws and required implementation, this change is often seen 2+ years after legislation is in place. The East coast seems to be a leader in this arena. I think the private sector is growing quicker than municipal because of budget issues with towns. Q: What are some of the most common challenges professionals face in caring for the land organically and what approach to you take to solving them? The biggest challenge in the Northeast is that grass is not native, so there is a time of transition required to bring the soil to the place where grass wants to grow, and people can be impatient. Current soil conditions, turf density and budget will determine how long the transition will take. By far the most common questions are - what are you going to do about weeds and grubs? Our standard reply is weeds as an indication of underlying soil conditions. If you simply kill a weed it doesn't mean grass will grow. Continue reading on the NOFA OLC blog. Organic Nature Lawn Care provides complete, year-round organic lawn care services, tick control and garden installation to residents of Fairfield County including Ridgefield, Westport, Newtown, Greenwich, Wilton, Norwalk and surrounding areas. Owner Julio Canto is a NOFA AOLCP (Accredited Organic Land Care Professional) who follows the NOFA Standards for Organic Land Care. The primary goals of organic land care are maintaining soil health, eliminating the use of synthetic pesticides and synthetic fertilizers, increasing landscape diversity, and improving the health and well-being of the people and web of life in our care. Organic Nature Lawn Care has pledged is to provide the quality and professionalism you need from a lawn care company to have the best lawn possible, while also providing natural processes that promote a safe and healthy environment. They offer 100% organic NOFA accredited lawn care, seeding and aeration, top-dressing compost, sod installation, new lawn installations, tick control, soil amendment, and vegetable garden installations. Visit the website to enjoy blog posts about lawn and yard care and to get a free quote. Winvian Farm is a luxury resort experience like no other. One hundred thirteen acres of heaven on earth, a lighthearted oasis of peace, comfort and Five-Star Fine Dining in the Litchfield Hills of Connecticut, where fires are bright, sleep tranquil, and the mind is free to play. A gracious, 1775 manor stands at the heart of Winvian Farm's historic estate, while 18 individually-designed resort cottages and the Hadley Suite on the threshold of woodlands and meadows let Winvian's guests experience the unexpected - a night in a treehouse, a greenhouse or a musical conservatory - a most splendid getaway. Bikes wait by every cottage door for roaming the grounds, or walk the winding paths and awaken the senses in Winvian Farm's glorious organic gardens. Their luxury Spa is an afternoon's delight, and Winvian Farm's renowned Five-Star Farm-to-Table Restaurant is the heartfelt response of a gifted Executive Chef, Chris Eddy. Almost everything served in Winvian Farm's revered restaurant is grown on this private estate in three greenhouses, and three acres of organic gardens. The freshest, most natural non-GMO ingredients are harvested daily to create exceptional seasonal menus, for a truly luxurious fine dining experience. Honey from the apiary, a hen house, root cellar, and luscious fruit trees round out Winvian Farm's artfully open-ended menus. Even the dining room bouquets come from Winvian Farm's heady flower and herb beds. It's a small, beautiful circle from seed to table, one that creates extraordinary cuisine and points toward a more prosperous, healthy future for everyone. Winvian Farm offers garden education and cooking classes to guests, all to keep spreading the good word of truly remarkable seed-to-table food. CLiCK Inc. is a non-profit, 501c3 run on cooperative values including self-help, self-responsibility, democracy, equity, and solidarity. Their mission is to grow the vitality of our local economy and community by offering shared use commercial kitchens to farmers and culinary entrepreneurs seeking to create food-based businesses, and to improve the health of our local community by teaching gardening, culinary arts, nutrition and other food-related classes. We are pleased to offer our new, premier memberships to provide outstanding benefits to individuals and garden clubs who are dedicated to supporting our work growing Connecticut organically. Membership Dues: $1,000 per year. Click here to join the CTNOFA community. Membership Dues: $500 per year. Click here to join the CTNOFA community. 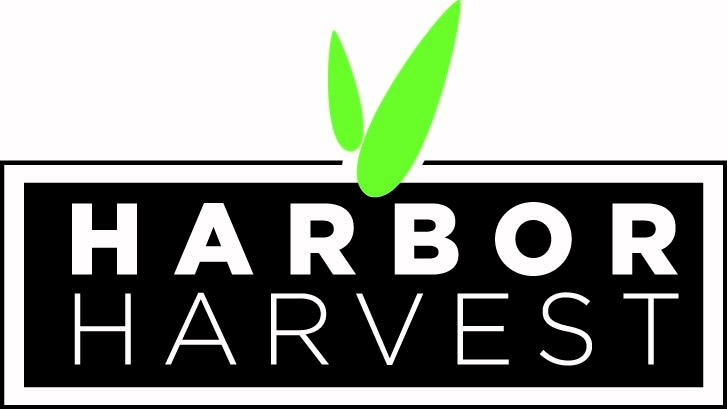 Environmental Technology Online, June 9, 2016, What Is Carbon Farming? NOFA/MASS is compiling a database about the growing practices of anyone who manages land -- farmers, gardeners, homeowners, professionals, etc. -- in the northeast. Answer our nine questions about your practices, learning interests, and willingness to be part of research trials measuring carbon building results.